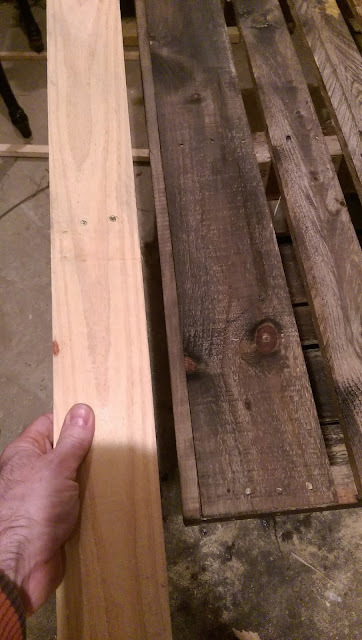 My wife told me about staining new wood to look like older wood. Not long ago, she wanted me to stain that pallet table I made for my daughter. But instead of using stain, we used tea, vinegar and steel wool. Yeah, sounds odd, but it seems to have worked well. First, soak your steel wool overnight in the vinegar. Then, apply tea with a paint brush. Then apply the vinegar right after you put on the tea. You can see below a comparison of the old color and new. It will smell like vinegar temporarily, so you may want to do this outside. But, its only temporary.